Brand trust can no longer be assumed, it must be earned, and consumers now require brands to prove they are trustworthy through identification, integrity and inclusion. This is the advice from Sarah King, global brand domain lead of Kantar, who also said trust in general is low, not just for brands, and only a quarter of Australian brands are seen as trustworthy by consumers. “We are in a great big emotional vortex at the moment, so trust in general is low. There is a great climate of untrust, and trust matters,” King told CMO. In addition, trust varies a lot by category. 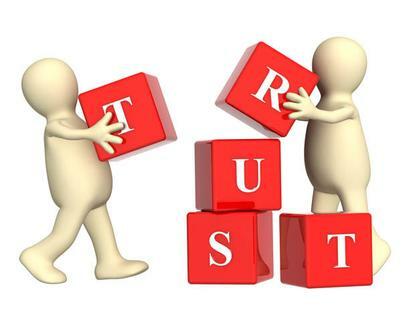 Some brands are generally low on trust, like banks and communications providers, for example. For King, brands seeking trust must think about the issues around the general brand as well. “There has always been uncertainty around certain businesses, but now there is uncertainty coming in around search and social media, and in information and news supply, which is no surprise given recent events,” she explained. King singled out three ‘I’s in winning trust– Identification, Integrity, and Inclusion. Identification centres on the fact that if brands are behaving like humans online, then they need to behave in human ways in other parts of the business as well. “People default to their emotions, and we are hardwired to like people who are some kind of reflection of ourselves, or where there is genuine empathy there, and people who have strong values are also compelling. King said it used to be consumers started with the assumption that people have integrity. But now the default position is one of suspicion rather than trust. “You have to prove a brand is trustworthy with reliability, competence, keeping promises, and showing you are trustworthy every time, it can no longer be a passive assumption,” she said. Likewise, inclusion via sharing power with consumers and demonstrating fairness is crucial. “People understand that brands are there to make money, but it mustn’t be done entirely at the consumer’s expense so they feel exploited. There has to be reciprocity,” King said. “And when you think about it, these are all fundamentally human qualities. “From those basic principles come all kind of behaviours, to reassure people of who you are, and that you can be trusted. Trust is built in lots of little moments and in some big moments. Brands must have an understanding of what those are, and demonstrate trustworthiness." Key to this is what goes on behind the scenes, and being transparent about it, king continued, noting consumers are savvy, and people are increasingly interested in the provenance of goods and services. It’s also vital when you make a mistake, to not cover it up. “A well-managed apology can be incredibly powerful, like the example of KFC recently. There was an authenticity to it and a really clear tone of voice,” she said. “Brands lose trust by not delivering in small ways, if these small failures aren’t recognised or fixed, and then trust is lost. Consumers also need a feeling of safety around data, they need service they expect, in the way they expect it, and the products they expect. There must be reliability and consistency.